I love toys. They are one of the many great things about childhood, and in 2014 we featured some that were just amazing. Here are the 10 most popular toys featured on Babyology in 2014. Perhaps you’ll find some inspiration for next Christmas – it’s never too early to start planning! 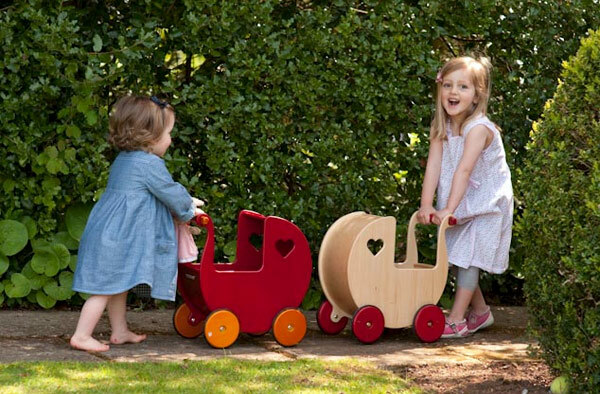 At number 10 is the amazing Moover Dolls Pram from Danish By Design. Having just bought one of these for my baby’s first birthday, I can attest to their beauty, design and sheer toddler-proofness. This is a toy that I’m sure will stick around to become an heirloom piece long after my girls are done with playing with dolls. We love multi-purpose toys here at Babyology. 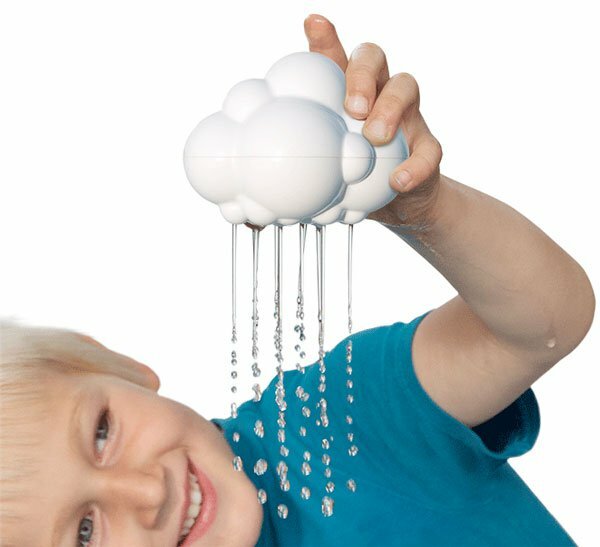 The Plui Rain Cloud is a sure-fire bath time hit for parents and kids. Not just for bath time, however, it can be used for washing hair, imaginative play, outdoor water play and as a teaching tool. And, it can be cleaned, so won’t attract mould in the same way most bath toys do! 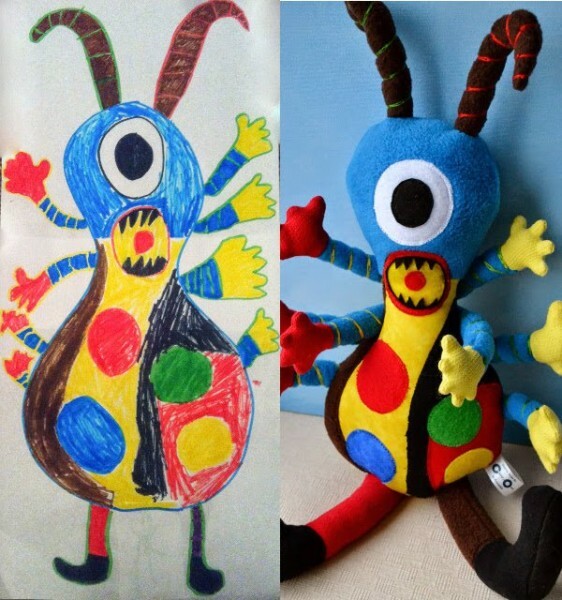 Quality, unique soft toys are always a great gift idea, and what could be more fun for kids than having one of their creatures turned into a toy! Child’s Own Studio custom makes toys based on the drawings of your child. Canadian artist Wendy Tsao made her first custom toy in 2007 for her daughter, and is now so busy that she creates wait lists of 100 at a time. If I lived in a house with a straight staircase, the SlideRider would make the perfect gift for my children. 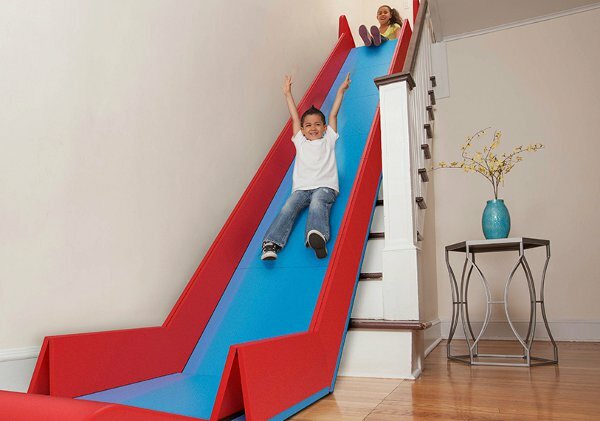 Essentially a set of folding mats, the SlideRider turns a staircase into an indoor slide! Not yet in production, this is one toy to be waiting eagerly for. Rainy days will never be boring again! 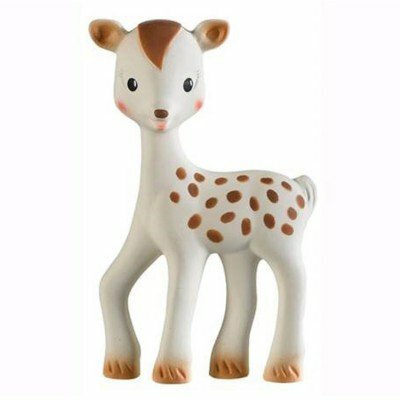 The Lammily doll has been gaining a lot of media attention for creating a doll that is based on a realistic body type. Lamely features a low-maintenance hair style and a practical wardrobe, as well as articulated joints and flat feet that mean she can stand on her own! Outdoor cubby houses come in many styles, but none are quite as cool as the retro-inspired caravan cubbies. I want one as an art installation piece in my yard. As an added bonus, I might just let the kids play in it. 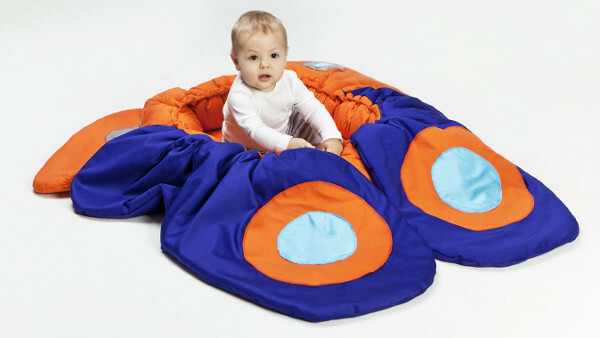 Baby play mats are pretty much an essential item, and Babyologists were quite taken by the Igolo Nest, play mats that can double as a structure of sorts, such as a car, or butterfly. Because they are large, they offer a great space for babies to play and roll around, but can double as toddler toys with the simple pull of a string! Sophie the Giraffe has been a baby favourite for decades, and in 2014 we saw the release of her little (adopted) brother, FanFan the fawn. Just as adorable and just as chewable, he is sure to be as big a star as his sister. For kids ready to put FanFan away, we were very impressed by the range of toys at the How We Montessori Shop. 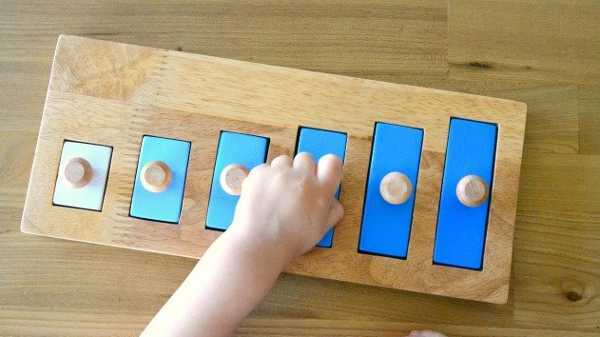 This online store offers a small, but really great selection of at-home materials inspired by the work of Maria Montessori. So the focus of the stock on the virtual shelves is on practical life for children as the first step of development. 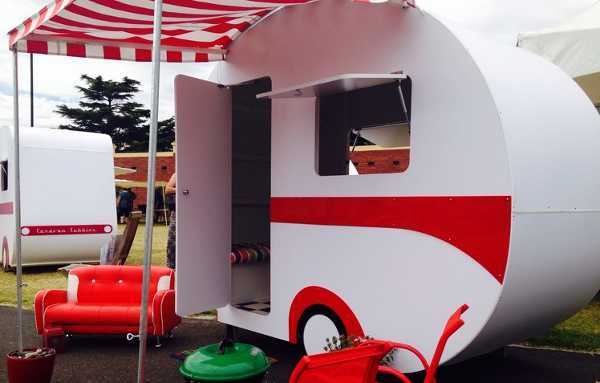 The caravan theme was clearly a winner in 2014, with the Jetaire Camper Play Tent coming in as our most popular toy post of the year, and it is easy to see why. 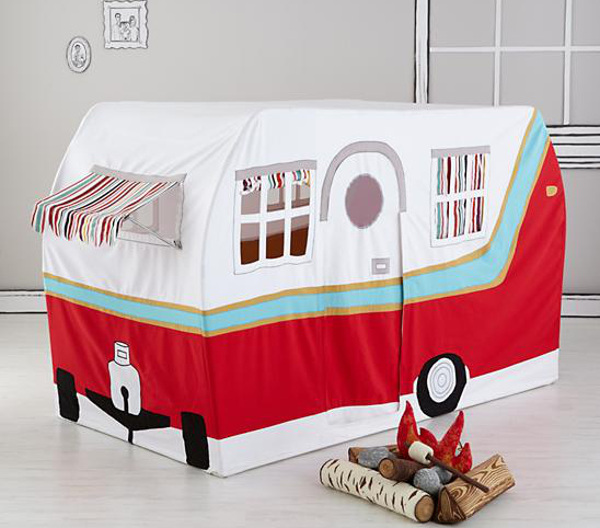 An indoor tent big enough to sleep in and stand up it, your kids could set up camp in the lounge room and stay there for their own mini indoor holiday! What a great year for toys 2014 was! We are very much looking forward to bringing you more beautiful and innovative toys in 2015.